* Receive software updates in a silent mode. * Data recordings and various reports upload. * Smooth functioning of wiTECH Diagnostic Application. Network Check will test the following sites to confirm they are available from your network. If any of the web-sites listed above in the screenshot is not available, you may experience issues with the wiTECH application functions/features listed above. 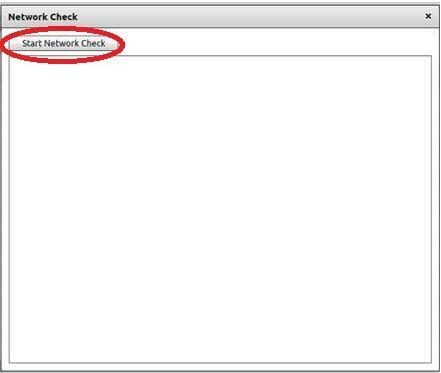 The “Network Check” feature is also available from witech2 “Standalone Mode” by accessing Help → Network Check option. If you are not getting an automated wiTECH Diagnostic Application update prompt or receiving a device registration warning despite your device is registered, you can run the “Network Check” utility to confirm you have access to the required web-sites/domains. 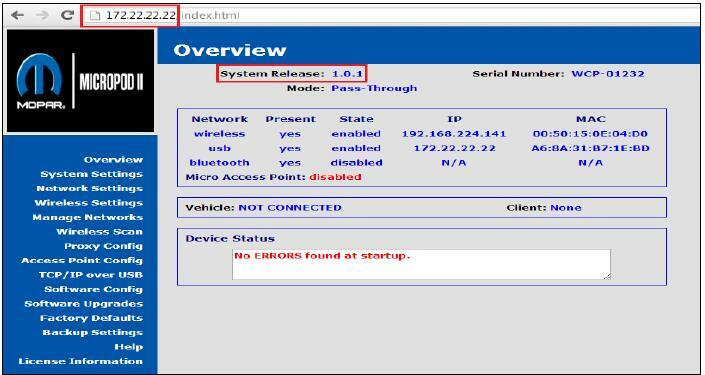 NOTE: All wiTECH users should have network access to Obd2tool.com and all of its sub-domains as trusted sites. 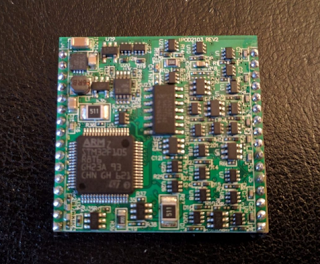 In order to ensure the Micropod II is working properly, it will be necessary to update it based on the latest software releases provided by Chrysler. 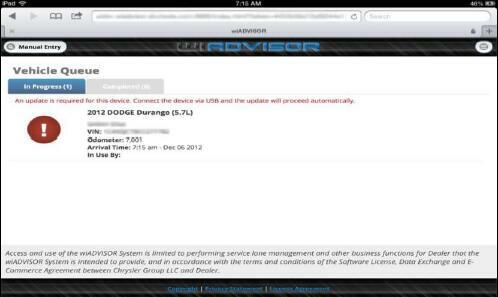 If your microPod is at version 0.4.2, it will not communicate with wiADVISOR. 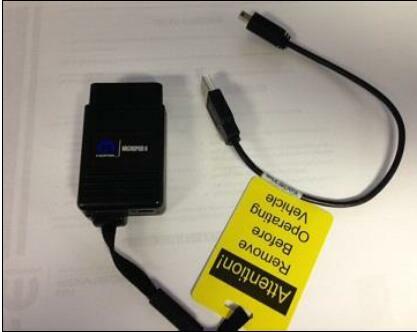 You must perform an update to version 1.2.2 using the USB cable that came with the microPod (see below). Application already installed – Typically this is a computer in the shop. a. If the System Release shows any version besides 1.2.2 (red box on image above), then your microPod should update to the most current version if the wireless connection on the microPod is properly configured. b. If the System Release version shows 0.4.2, the wireless connection on the microPod must be configured in order for the microPod to update. Please contact the wiADVISOR Team at 1-855-wiADVISOR for assistance with this process. 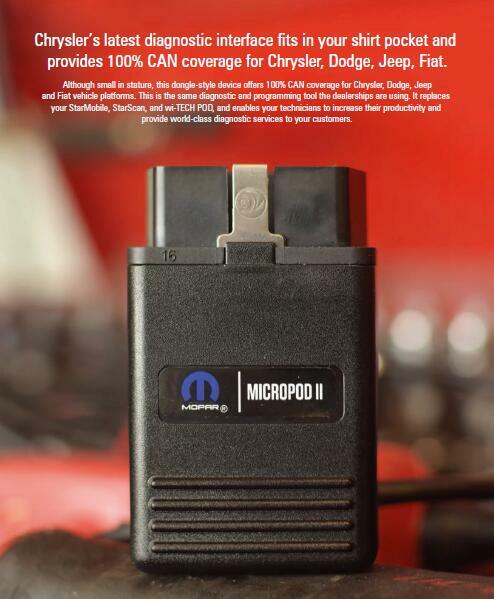 Once wireless is configured, simply wait until the light on the engine diagnostic tool microPod will begin to flash with slow bursts of red indicating that the microPod has started the update process. You will not be able to access the microPod during the update and will have to wait 4-6 minutes before it finishes. The flashing red light will return to green once the update is complete. b. To update the App Version to 1.1.9, simply leave the microPod plugged into the PC. Pod will update itself. Refresh the screen until the version shows 1.1.9. 5. Now that your microPod System Release shows version 1.2.2, and the software shows an App version of 1.1.9, your microPod is now up-to-date. If you are not sure if your microPod requires an update, follow the below steps to confirm this. 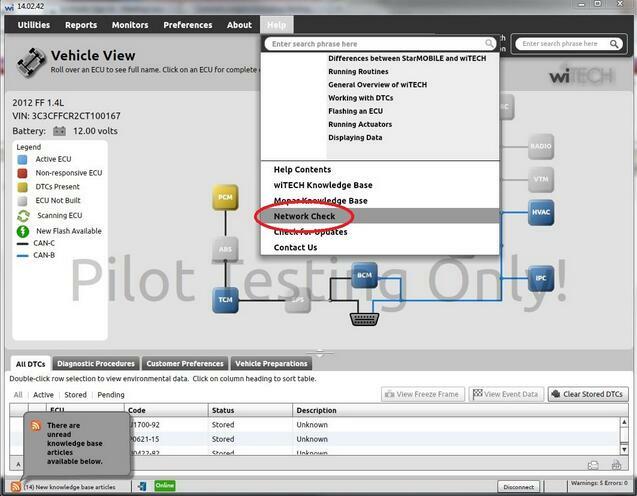 To view the current status of your microPod, you must be logged into the wiADVISOR application and have selected “Vehicle Queue” in the interface. 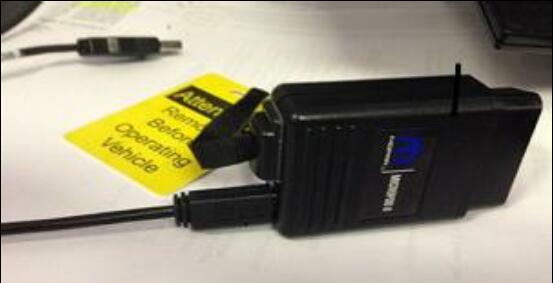 When a microPod is powered up, the software status will be displayed along with connected vehicle information. be displayed. Otherwise one of the following two scenarios will be shown. b. Update Available – This status indicates that there is an update available for your microPod. It is highly recommended that you update your microPod at your earliest convenience. You may continue to use the microPod without updating it when this status appears. c. Update Required – This status indicates that an update is required on the microPod in order to continue using it. 2. 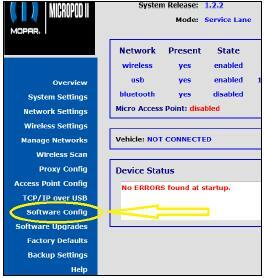 To update the software, disconnect the microPod from the vehicle and connect it to your computer using the USB cable (computer must have the OBD-II scan tool wiTECH Diagnostic Application installed). 3. Since your microPod is updated to the 1.2.2 System Release; once booted and no vehicle power is detected, the microPod will automatically begin the update process. Depending on what software is being updated, the process can take anywhere from a few seconds to several minutes. During this time the LED lights will blink red and off. Monitor the Vehicle Queue to determine if the update has completed. 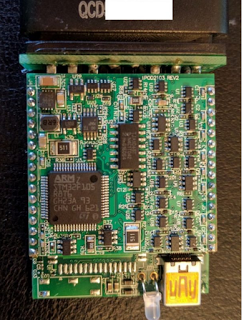 Disconnecting the USB cable prior to update completion may leave the microPod in an irrecoverable failure state. After powering up with the USB cable, the screen will warn you that the update is starting and you must not unplug the device until the update is complete (see below). 4. When the update is completed, the text in the Vehicle Queue will change indicating that microPod is up-to-date. 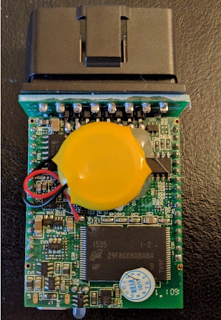 At this time, it is safe to disconnect the USB ca ble and re-connect to a vehicle. 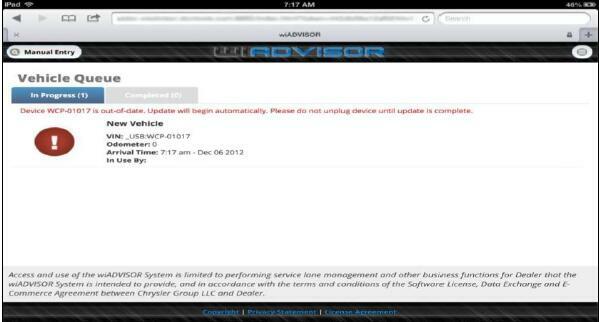 If you find that you are having issues with updating your wiADVISOR microPod there are few resolutions you can try. 2. Try a different USB to mini USB cable. 3. 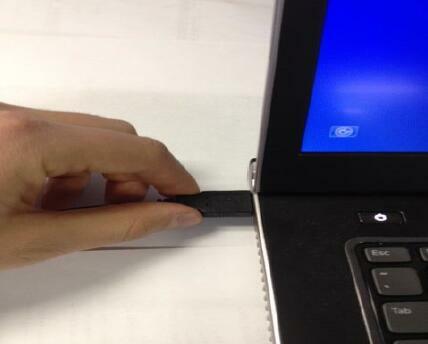 Unplug the cable from the PC and try a different USB port. 4. Try a different PC; make sure you are in range of the wiADVISOR Access Point. 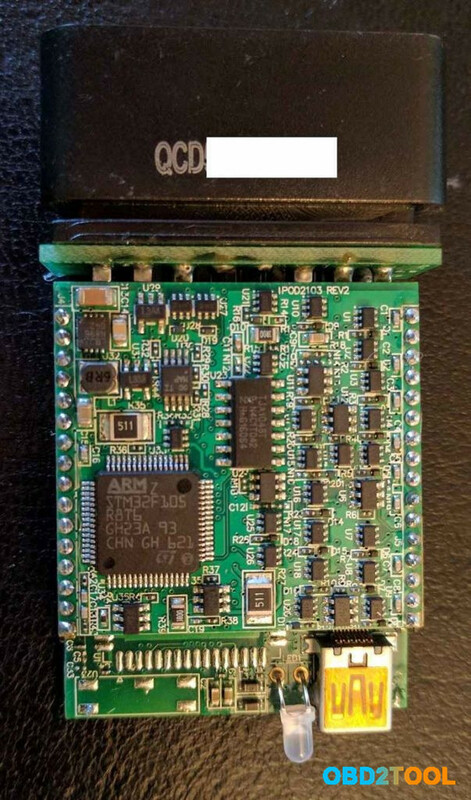 Just ordered a Chinese clone Chrysler Micropod II and it has been working exactly like an OEM unit. No errors so far and tested functions on 3 different vehicles. It has been confirmed working with unmodified software wiTECH v17.03.10 (downloaded directly from a blog, I put the site below) and online (logged into TechAuthority). Not sure if it will be blacklisted or the firmware will be upgradeable with the next software release, but for now it works fine. This version of Witech (17.03.10) works fine on Windows 7 and Windows 10.
on a 2014 Dodge Avenger just fine. also, possible to use DRB III Emulator with it, DRB III emulator confirmed working. So far, happy with this witech MicroPod 2. How to install WiTech MicroPod 2 software 17.04.27 on Windows 7? How to install Chrysler wiTech MicroPod 2 software 17.04.27 on Windows 7? 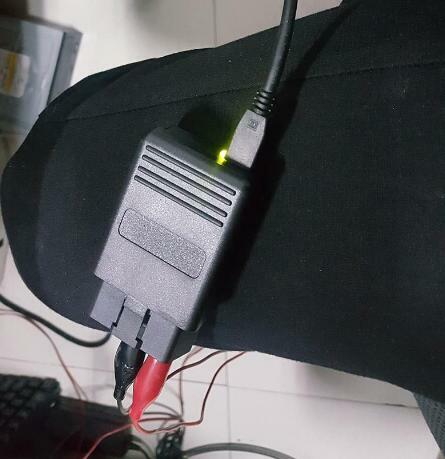 The computer must be connected to the Internet. 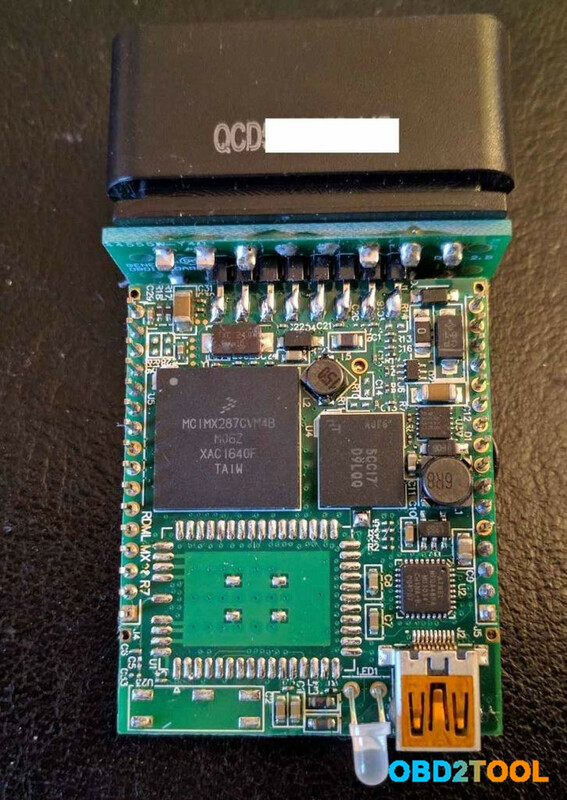 Connect the MicroPod 2 to computer to open the software. When it pop up registration tips, turn off the software and turn it on repeatedly then you can use it. Which MicroPod 2 clone is tested 100% safe to use? 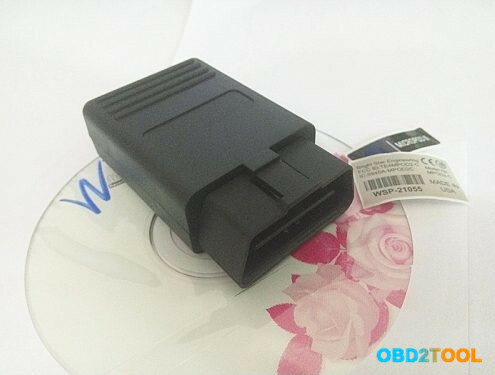 Different: Chrysler wiTech MicroPod 2 Best Quality OEM is much better than wiTech MicroPod 2’s. 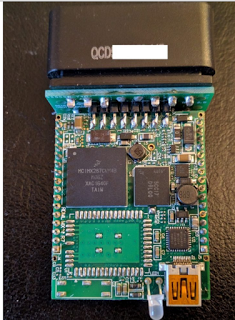 You get what you pay for from Obd2tool.com. Hope it helps my friend! 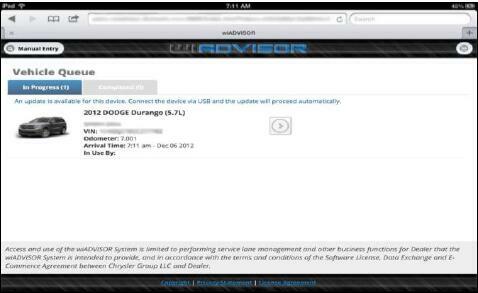 How to install Chrysler wiTech MicroPod 2 Diagnostic Programming Tool?